Er, yes he bloomin’ well would. 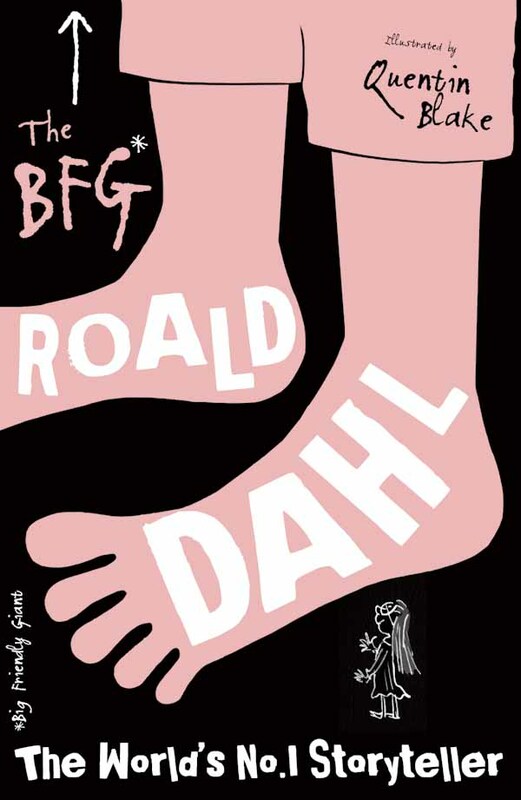 In early 2012, we were approached by Katie Finch of Penguin Puffin to do a last-minute pitch on the latest paperback rebrand of our all-time favourite author, Roald Dahl. Time was short, I had only a few days to do it. The brief was to work on Charlie and the Chocolate Factory, The BFG and James and the Giant Peach, aimed at 7-11 year olds, unisex appeal. The covers needed to look fresh, have more impact and a wow factor. 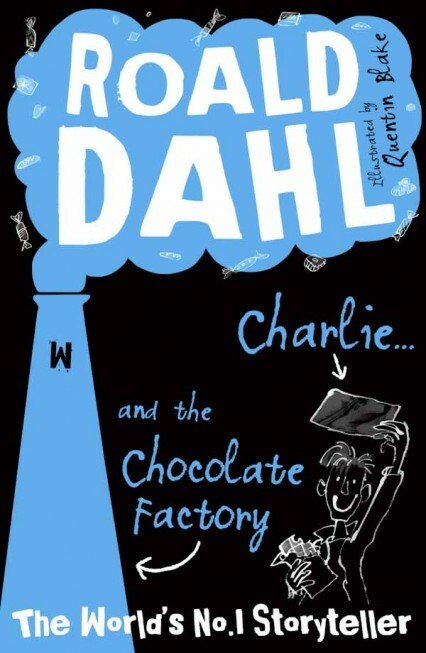 One interesting point in the brief was to focus more on the mischievous, darker, anarchic side of Dahl. 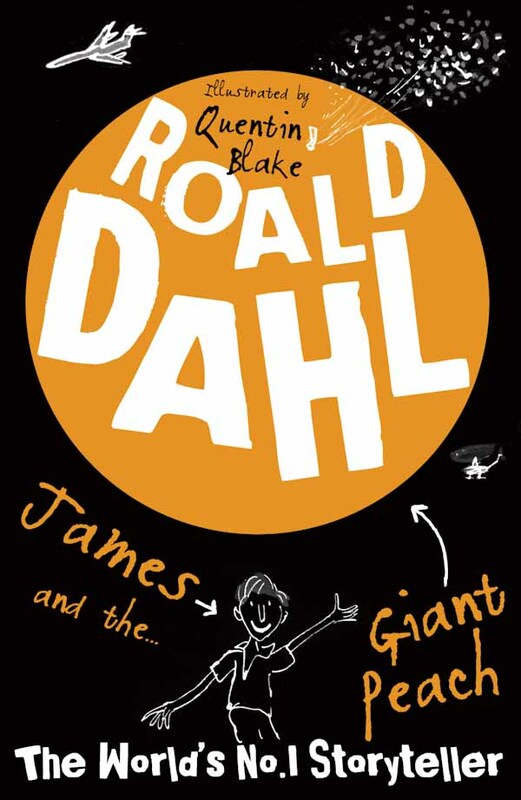 Along with the usual points regarding readability in the digital sphere, the inclusion of Quentin Blake’s illustrations and the line ‘The World’s No.1 Storyteller’. Relatively new to this freelance lark, we dropped everything to work on it and went to town. We suggested two looks, the first involved commissioning an illustrator to create 3D paper backgrounds for the Quentin Blake illustrations to sit in, alongside something literally darker. We inverted the colour of the Quentin Blake illustrations and made a much starker design, including a slightly distressed font, very simple colour palette and, crucially, a large area of colour for the author’s name to sit in that world help it work at thumbnail size. The second direction was chosen and went forward to the Dahl estate, along with work from other designers as part of a wider pitch process. Although our designs were liked in-house, “ingenious and really fresh” they were kind to say, they weren’t taken forward. Gutted. In 2013 we saw the designs that won the commission, and they were straighter, brand-led designs that were very strong but, we think, just followed on from the previous look rather than took it in a new direction. Still, what an amazing project to work on and shout about in our folio. We hope you like it.